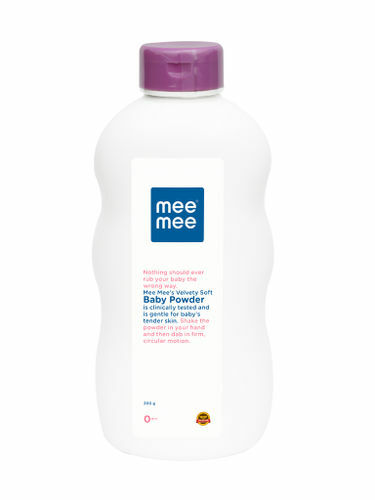 Mee Mee Fresh Feel Baby Powder is a light and soft powder that makes your baby's skin feel more comfortable. Specially made for your baby's skin, it keeps the skin fresh and dry. All Mee Mee Products are carefully made to the highest safety standards. It keeps skin fresh and dry. Explore the entire range of Creams, Lotions & Oils available on Nykaa. Shop more Mee Mee products here.You can browse through the complete world of Mee Mee Creams, Lotions & Oils .